Multi-stations, suspension systems for modern fitness movements: CrossFit, Workout, Antigravity yoga and others. «FOREMAN Products» is the Russian manufacturer of the high-quality sports equipment and furniture for commercial use, and also special equipment for working off and enhancement of the military personnel skills and abilities. Being constantly enhanced in response to requirements of time and needs of target audience, the company is proved as the reliable partner. Thanks to a long experience, modern professional equipment stock and demanding requirements for production organization level and employees’ competence, FOREMAN® quality always remains at height. 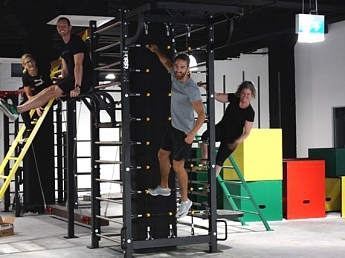 In Parkour Club “Movement Republic” in Sydney, the FOREMAN Products team installed custom-made equipment. The sports equipment produced under the FOREMAN® brand is known all over the world. Constantly improving, the company develops new progressive fitness areas, one of which is WorkOut. Due to the growing popularity of this sports movement, "FOREMAN Products, SPb" is successfully implementing projects for equipping outdoor sports grounds and sports towns. 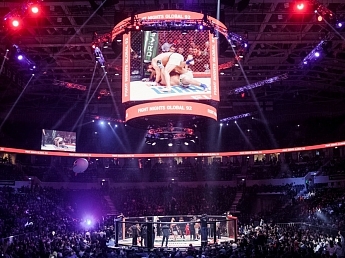 Fitness boxing is a new direction in fitness. 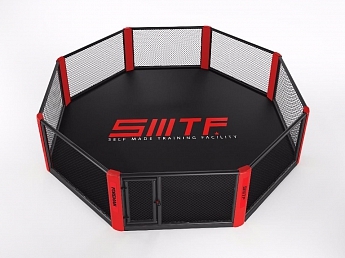 Harmoniously combining the techniques of boxing and fitness techniques, this sport is suitable for both men and women. Today, fitness box is rapidly gaining popularity around the world. Following the new trend, FOREMAN Products has developed a range of rings and hangers for the fitness box. We have implemented more than 1,000 large-scale projects in Russian and international markets. Large fit clubs, law enforcement agencies and medical institutions trust our experience. Today FOREMAN Products disposes modern professional high-technology equipment fleet. Annually, «FOREMAN Products» produces and sells more than 4000 units of the sports equipment and 21 000 units of furniture. Today the range of fitness equipment produced under the FOREMAN® brand, has more than 200 models. FOREMAN Products enters a top 10 of the largest RF exporters in the following product groups: «furniture for fitness-clubs», «furniture for health-care centers», «sports equipment», «professional sports equipment». The company produces a complete model range of the FOREMAN® strength equipment engineered for professional use in the commercial and state sports centers, schools, gyms. We offer a wide model range of multi-stations, suspension systems and accessories for modern fitness movements. Stations’ constructions include various horizontal bars for pulling up and fixing of fitness accessories (functional loops, ropes, shock-absorbers etc.) and holders for bars and barbells necessary for free weight exercises. Furniture from HPL plastic for changing rooms, entrance groups, bars and other zones of fitness clubs, swimming pools, ski and spa resorts is developed and manufactured from environmentally friendly laminate HPL. Specialists of FORMAN Products Company offer the development of models of furniture for fitness clubs according to individual design. FOREMAN Products makes high-quality free weights for reasonable prices. FOREMAN® dumbbells, bars, olympic plates, kettlebells are reliable, ergonomic, wear-resistant and esthetically attractive.